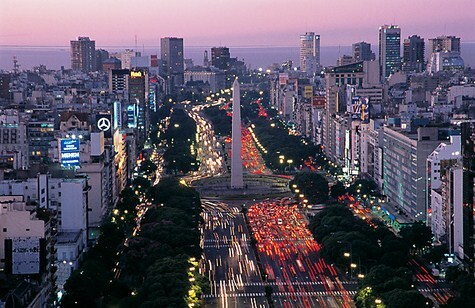 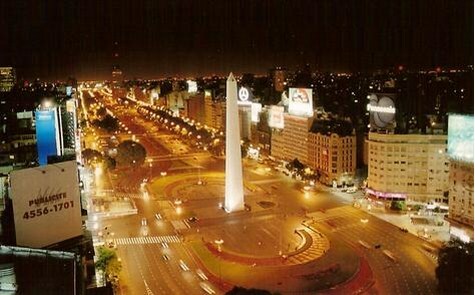 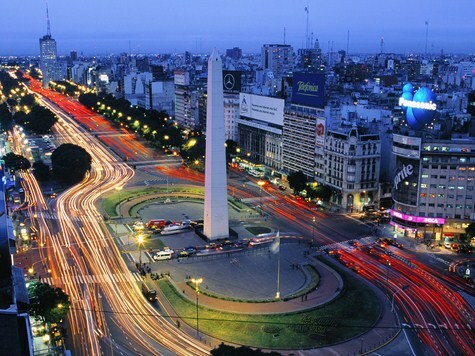 9 de Julio Avenue in downtown Buenos Aires, Argentina, is not just any street. 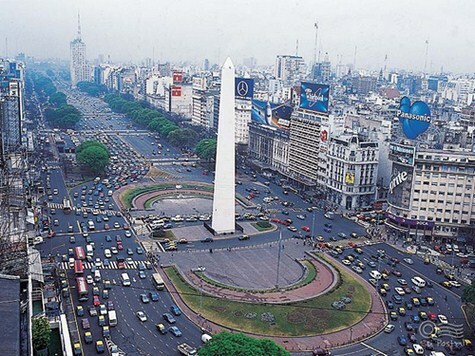 Nine lanes wide, with gardened medians between the opposing flow of traffic, this is the widest street in the world. 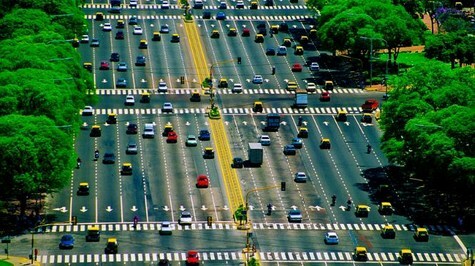 Only those with a quick pace and long legs will be lucky to get to the other side before the traffic lights at the intersection changes. 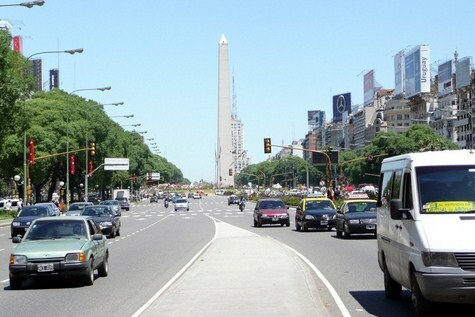 A pedestrian crossing this street usually requires a few extra minutes and two to three traffic light rotations. 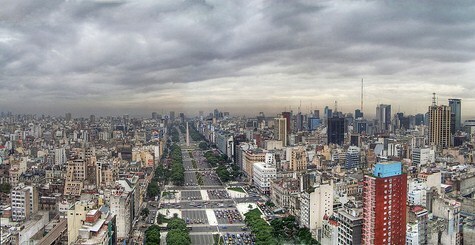 9 de Julio Avenue is only 1 km long but 110 meters wide. 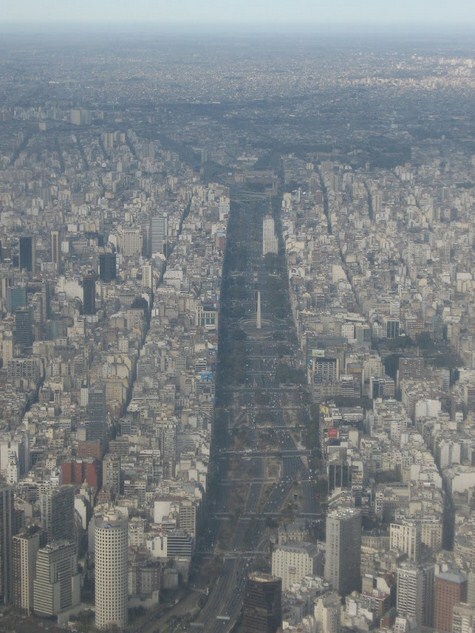 The avenue's unusual width is because it spans an entire city block, the distance between two streets in the checkerboard pattern used in Buenos Aires. 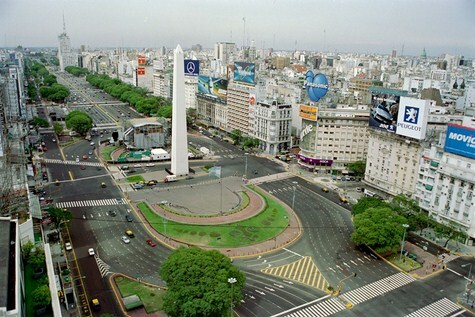 The avenue runs roughly 1 km to the west of the Río de la Plata waterfront, from the Retiro district in the north to Constitución station in the south. 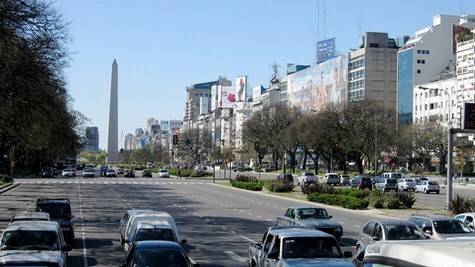 The avenue has up to seven lanes in each direction and is flanked on either side by parallel streets of two lanes each. 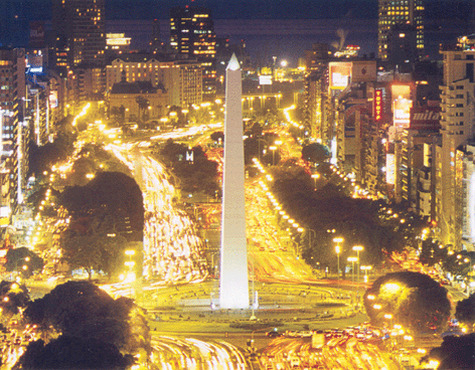 Its name honors Argentina's Independence Day, July 9, 1816. 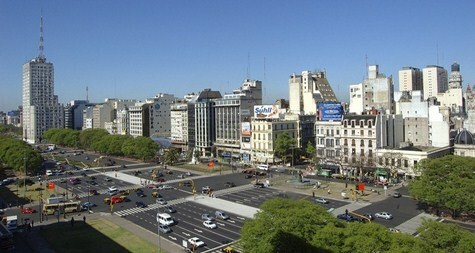 The street runs far in both directions and connects the unique sections of the metropolis. 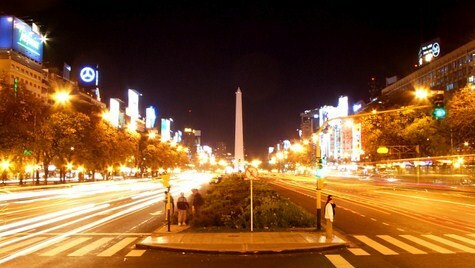 Some of Buenos Aires main landmarks can be seen along the way; most notably, the Obelisk, that sits in the middle of 9 de Julio, the original French Embassy, the statue of Don Quixote, the Teatro Colon and the former Ministry of Communications building - the only building that sits on the avenue itself at the intersection with Moreno street.